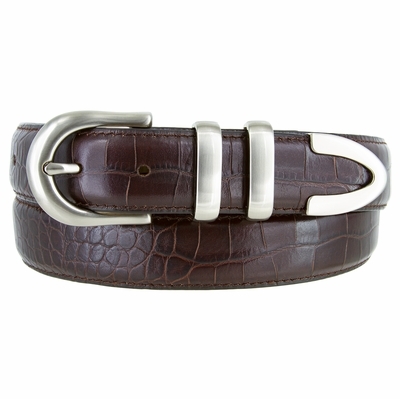 Genuine Italian Calfskin Embossed Office Dress Leather Belt. Belt is 1-1/8" = 30mm wide. 4 piece Nickel Brushed Finish Buckle Set.